We send to each employee a PRO-COUNSELLING card and leaflet with information on how to access our Employee Assistance Programme. 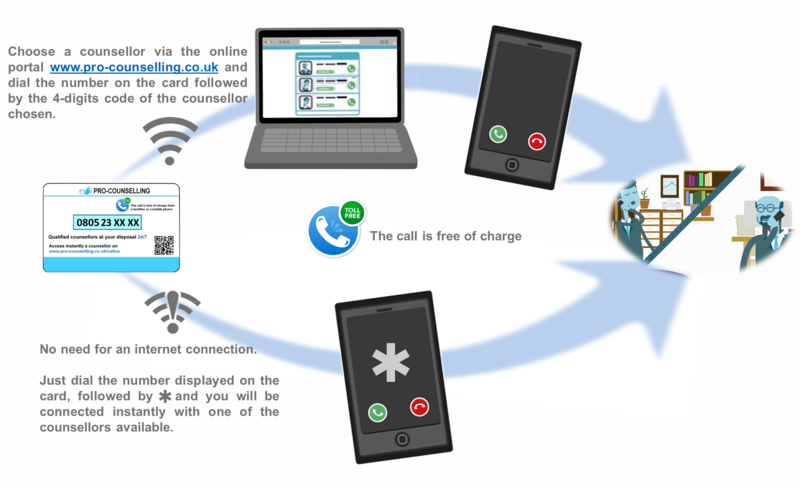 From a landline or a mobile, the employee dials the number displayed on his card plus the 4-digits code of the counsellor chosen via the online portal www.pro-counselling.co.uk. He is then connected instantly with the counsellor. If the employee does not have an internet connection, he can still access a counsellor by dialling the number displayed on the card, followed by *. The call will be redirected instantly with one of the counsellors available. The employee can choose and call a counsellor at any time. The service is immediate and available 24/7. There is no voicemail, no waiting and no needs for appointments. The employee can access the schedule of each counsellor and see when his counsellor will be online if he wants to call him again. 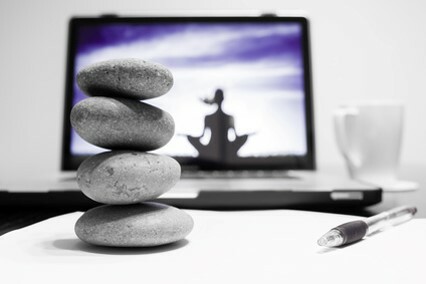 The counsellors are visible in real time on the online portal www.pro-counselling.co.uk. The list of counsellors with their current status (online / offline / in session) will enable you to choose a counsellor instantly. For more information on the counsellors, you can access the full profile and their upcoming availabilities by clicking their name. Once you have selected a counsellor online, the connection with the counsellor through the phone takes only a few seconds. The call to a counsellor is always unlimited and free of charge. You will always find a counsellor online, even at night, seven days a week. Professional secrecy binds PRO-COUNSELLING counsellors. Consultations are strictly anonymous; they are neither listened nor recorded. All our counsellors have been carefully selected. They are qualified Occupational Psychologists or Counselling Psychologists. All employees benefit instantly from a professional, individual and personalised care.